Make yourself at home in one of the 117 guestrooms. Rooms have private balconies. Complimentary wireless Internet access keeps you connected, and satellite programming is available for your entertainment. Conveniences include phones, as well as safes and desks. With a stay at Fletcher Hotel-Restaurant Veldenbos in Nunspeet, you'll be 10.2 mi (16.4 km) from Walibi Holland and 23.5 mi (37.8 km) from Hoge Veluwe National Park. This eco-friendly hotel is 24.5 mi (39.4 km) from Kroller-Muller Museum and 28.4 mi (45.8 km) from IJsselmeer. 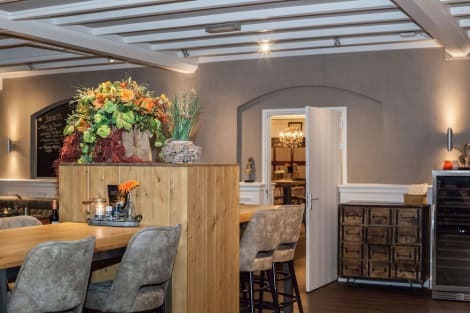 Located in the lush Veluwe area, outside the village of Nunspeet, Landgoedhotel Villa Vennendal features an indoor pool, restaurant, and rooms with a flat-screen TV. Set in an extensive estate and with Victorian details in its interior, Landgoedhotel Villa Vennendal offers spacious rooms with a private bathroom. Some rooms and apartments are set in a separate cabin and feature a seating area. Guests can enjoy a game of tennis on the court or unwind in the sauna. Landgoedhotel also provides free parking, bicycle rental and a business centre. The restaurant offers international and regional meals. A refreshing drink from the bar can be enjoyed in front of the fireplace in the lounge. Nunspeet train station is a 2-minute walk away. lastminute.com has a fantastic range of hotels in Nunspeet, with everything from cheap hotels to luxurious five star accommodation available. We like to live up to our last minute name so remember you can book any one of our excellent Nunspeet hotels up until midnight and stay the same night.